It kind of makes sense, as it is often in a will, and you end up cursing the person for requiring you to: wait until age 30, not do drugs, keep gainful employment, OR be married by 6:05 PM on your 30th birthday. 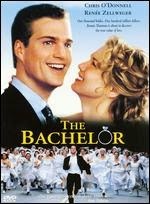 This is exactly the predicament Chris O'Donnell found himself in for 1999's critically acclaimed film, The Bachelor. After botching his proposal to girlfriend Anne (played by Texas' own Renee Zellweger, when she still looked like Renee Zellweger), O'Donnell has 24 hours to scour his past and find a bride or risk losing a $100 million inheritance. What can go wrong? I actually saw this and it wasn't THAT bad, but it highlights a common concern that many people have: what will my heirs do with my money/stuff/business? Some people don't care, they are dead. Others want to make sure that things are done right, which means their definition of right. Lets take a look at some sample restrictions, and see which will hold up legally. 1. I leave my land to St. Bob of Cleveland Church, as long as the location is used as a church. This one is usually fine. If there have been instances where requirements that a bequest is based on practicing a certain religion are declared void, as are just about anything that would go against public policy. 2. I leave my estate to my sons, as long as they marry within 7 years of my death Jewish girls whose parents are both Jewish. Restraints on marriage, as in to not get married at all or marry someone of a particular race are often held to be invalid. However, courts have termed religious restrictions or certain time limits to be "partial" restrictions, and generally upheld. This exact scenario in the example was upheld in the case of Shapira v. Union National Bank. 3. I leave my estate to my grandkids, in trust, with distributions totally at the discretion of Trustee, provided they do not do drugs and have gainful employment. This is a very common one, and as not doing drugs and having a job are not against public policy, they are upheld. But what about in a state that allows recreational marijuana? Be careful how your documents are drafted. Placing restrictions on gifts is nothing new. Sometimes it works, sometimes it doesn't. The success is usually based upon good family communication and structuring the restriction in a way that is in line with good public policy. Some say the golden rule is "he who has the gold, makes the rules." In the case of the dead hand, this is generally true.